Use special powers against gangsters in the city. 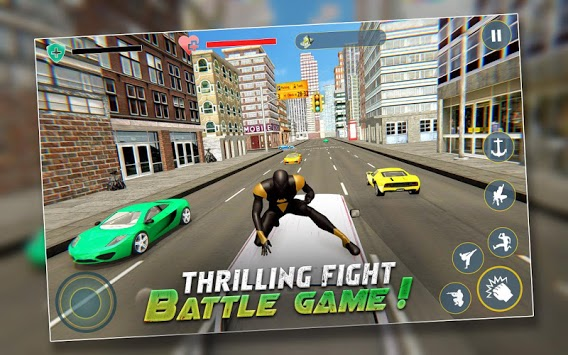 In this open 3D world adventure go on crime-fighting non-stop web-slinging hero action as you play greatest web-shooting challenge yet! Your city is under threat from a city-wide criminal spree. As a quick-witted web hero only you can stop these thugs from spreading fear! Show your amazing web shooting skills and stop all the villains standing in your way. Can you restore order and safety to become victories in this free to download and play online 3D open world web-slinging hero action hero game?! 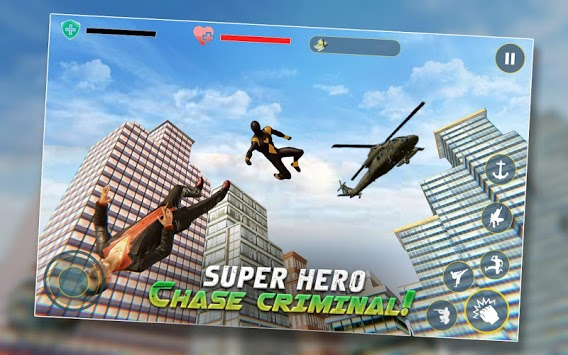 Experience intense hero action combination-fused crime fighting by shooting webs at bullet firing opponents and fast punch all your enemies in this cool crime filled thriller game. Defeat enemies and stop their illegal activities from street using your crazy acrobatic building climbing fighting styles! Be amazed at the first-rate, smooth animations as you swing freely through the open-world city like never before! Download now to release overwhelming web, punches and kicks combinations using enhanced controls with console like graphics for an intense action 3D game experience! - Unlock more suits to play in this game play! 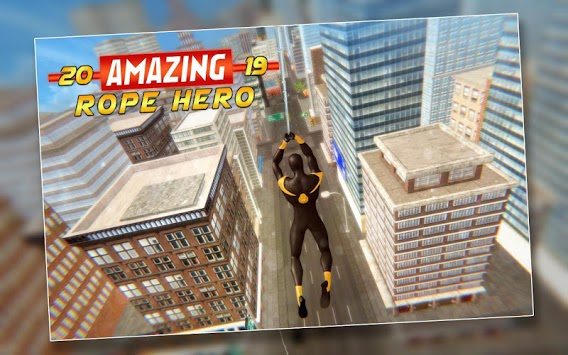 - Sling web, climb walls and shoot strings of web as the fast hero that you are! - Thrilling adventure in a larger 3D open-world city to explore! - Immersive heroic stories, including battling waves of thugs and opponents with guns! - Amazing heroic stories, including battling waves of thugs and opponents with guns!